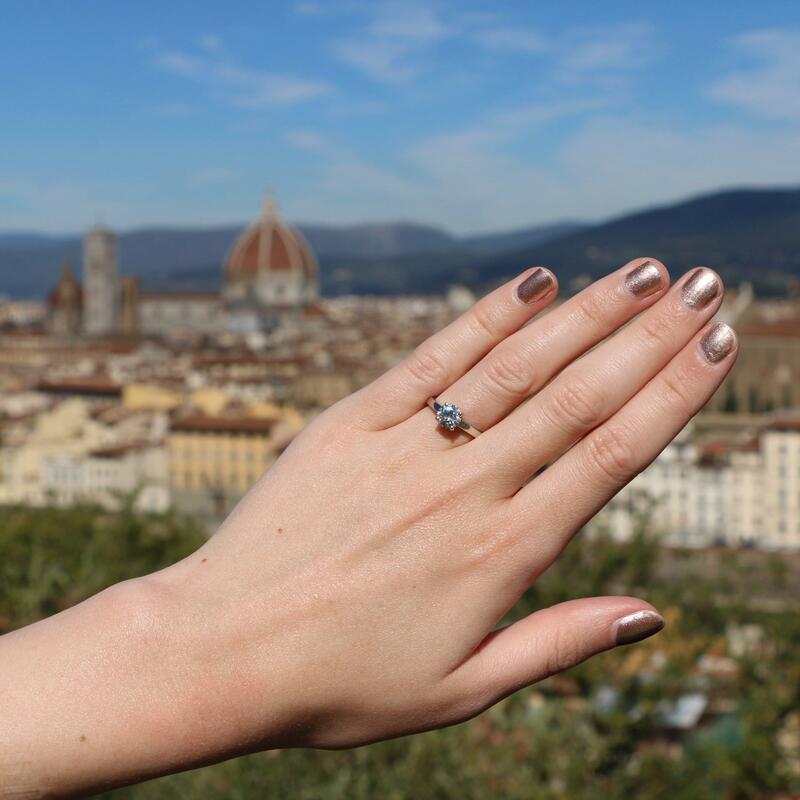 I’ve been engaged for a few months as Aaron proposed last October on holiday, however even though I shared the news all over social media I realised I hadn’t written anything on my blog! 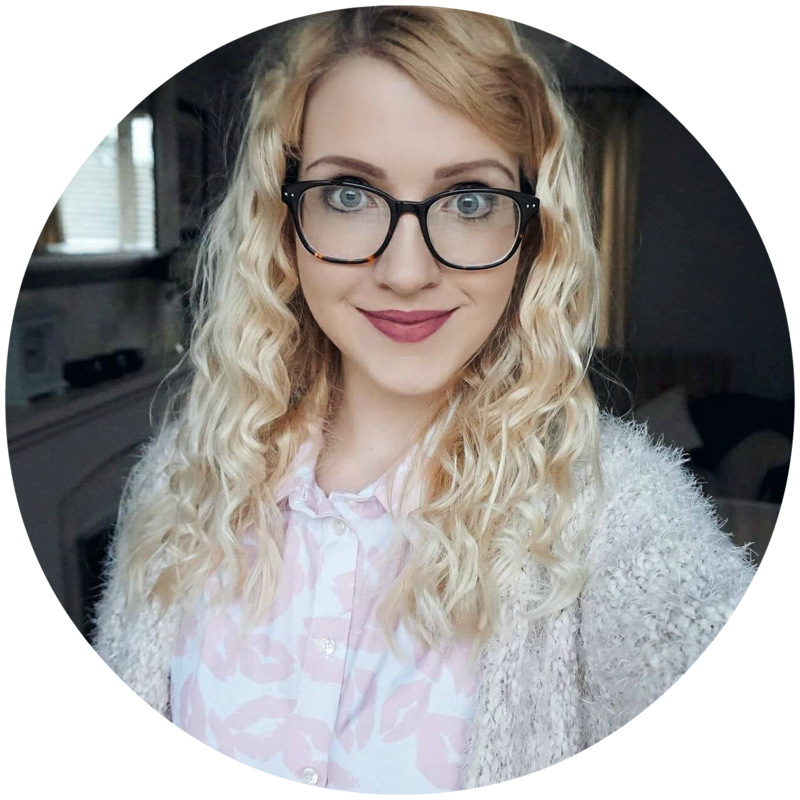 Today I thought I would tell you all about the proposal and what’s happened since being engaged. 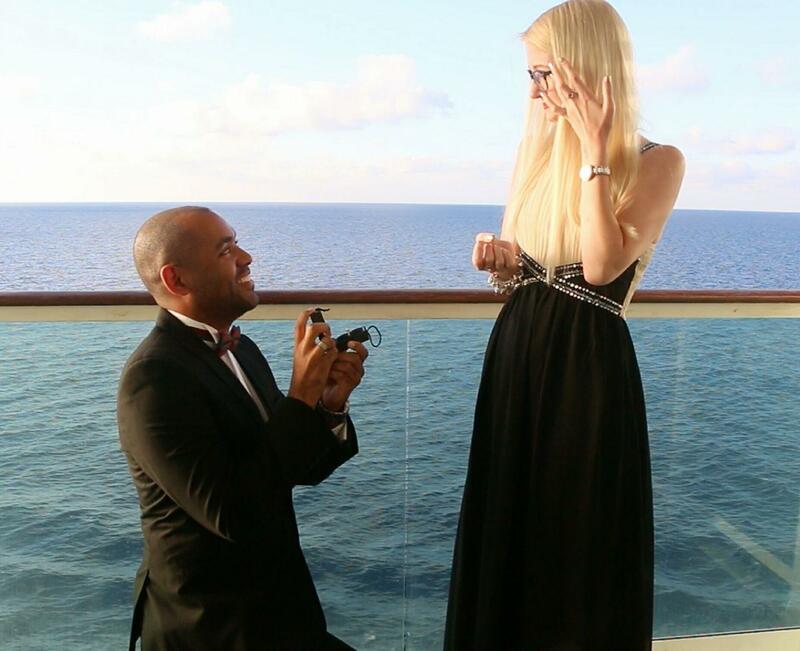 We were on a two week cruise on the Independence of the Seas when Aaron proposed, half-way through the holiday. 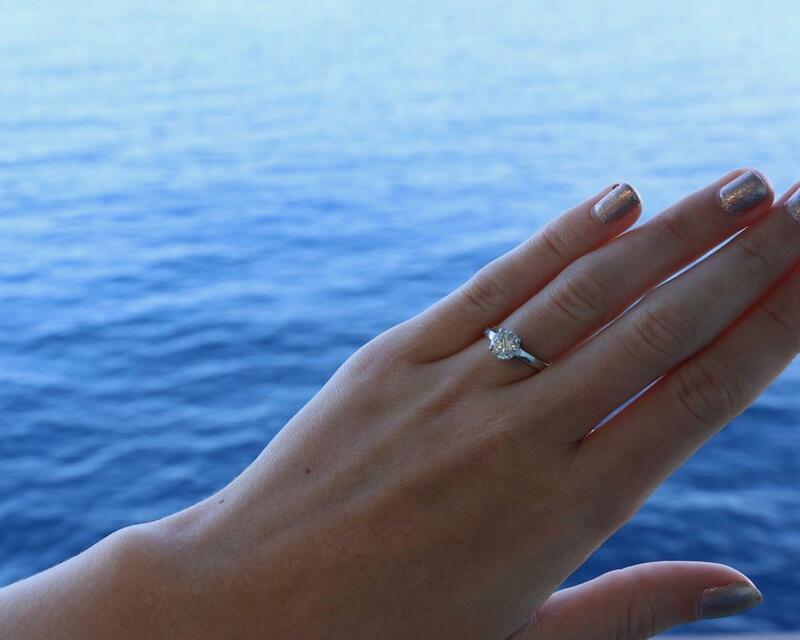 He had originally planned to propose at Blenheim Palace and booked and arranged musicians, however we both LOVE cruising and I’ve always said I’d love for it happen on holiday so he changed plans and he’s glad that he did. 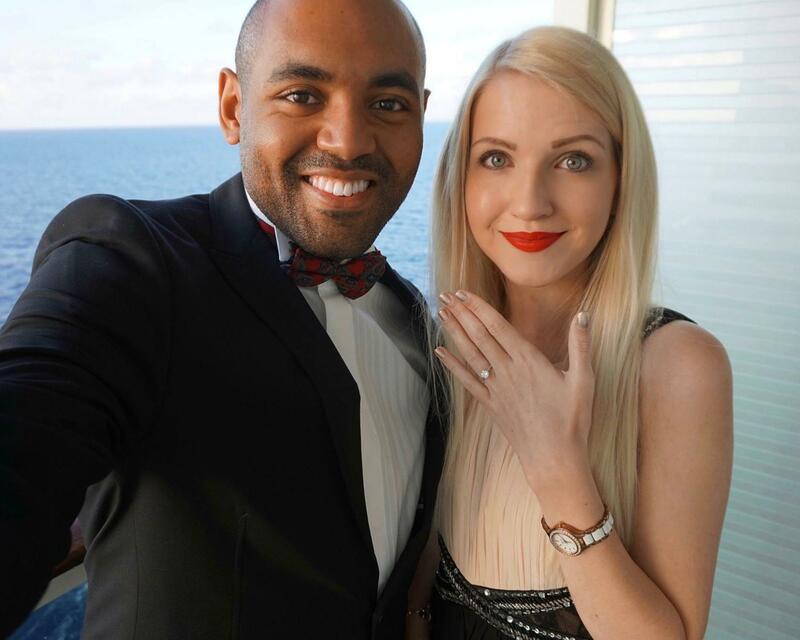 We had several different ports on holiday and Aaron originally planned to propose in Cartagena, however on the day he didn’t feel like the moment felt right and didn’t want to rush into it when it’s not perfect. A few days later Aaron popped the question after we had got ready for dinner, I was on the balcony looking out to the sea when Aaron got down on one knee and asked me to marry him! He caught this on camera and you can watch the vlog at the bottom of this post if you’re interested, he even had a beautiful speech however it’s something that I’d like to keep private just for us so I did cut the video down a little and added music. Earlier on in the day before he proposed I told Aaron that it had been the best day of the holiday so far, so it couldn’t have happened on a more perfect day. I CRIED! We had spoken about marriage many times so I really didn’t expect to cry as thought I would be prepared, however I definitely wasn’t prepared for Aarons lovely speech which caused me to feel overwhelmed with emotion. The last week of the holiday was spent living in a little bubble and it was incredible to have a few days celebrating just the two of us before celebrating with our friends and family. I spent a lot of time walking around staring at my ring, watching it sparkle in the light and slightly paranoid that it would fall off as even though it fitted my finger I was worried about losing it at first! As soon as we got back Aaron bought some wedding magazines so I could have a flick through for inspiration and recently we’ve started planning a little more seriously. We’ve found a venue that we love online and it’s our dream venue, however we need to arrange a viewing to see if it’s just as beautiful in real life. Last weekend we visited the National Wedding Show for inspiration and I’ve been sticking lots of ideas down in my wedding planning book figuring out what we want for our wedding. I don’t stare at my ring as much as I used as at first I couldn’t take my eyes off it (I’ve never seen anything sparkle so much), however I do still find myself quite often admiring my ring and remembering how perfect the proposal was. I still feel a bit like I’m living in a bubble and I can’t wait to view our dream wedding venue, as if it’s a perfect as the photos then it means we can book a date and start wedding planning officially! Oh wow what a romantic!